Want to Learn How to Become a Successful Loan Signing Agent? Click on the video above to start the webinar. 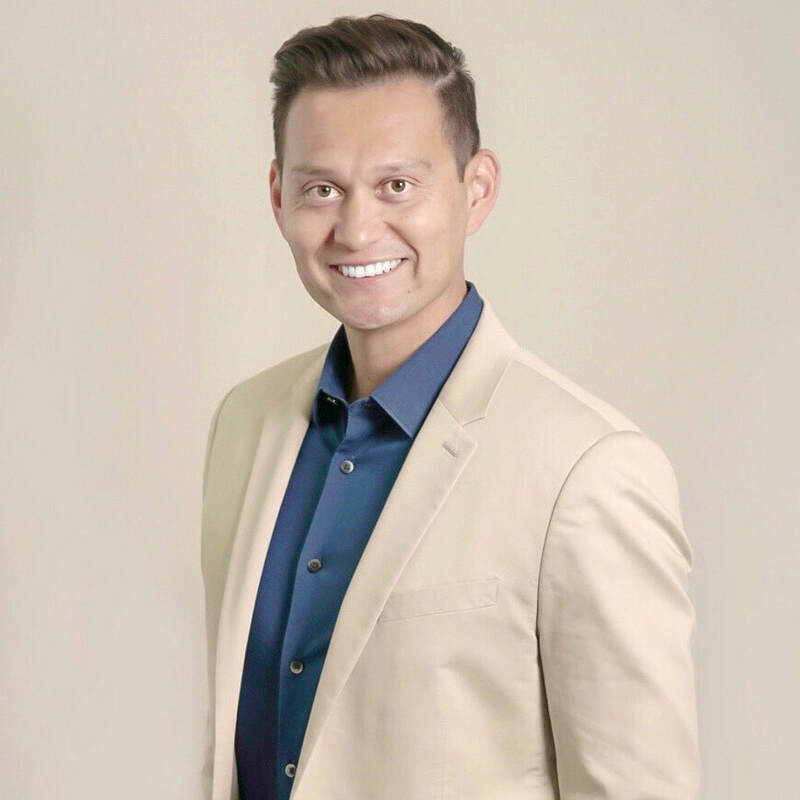 ​Mark is one of the highest producing loan signing agents in the country, owner of a national loan signing service, and the course instructor of the Loan Signing System, the premier signing agent training to thousands of people coast to coast. ​He has done over 10,000 loan signings and hires thousands of notaries every year to conduct loan signings. He has taken everything he has learned in the nearly 15 years of being a top producing loan signing agent and created a step-by-step system that anyone can apply to make more money as a loan signing agent. Why Become a Loan Signing Agent? Make Money Around Your Existing Schedule. Loan signings typically occur on evenings and weekends so you can start part-time and get work that pays $75 to $200 when you're available. No Experience, No Degrees Needed. To become a loan signing agent, you can make as much per appointment as some attorneys and chiropractors WITHOUT a college degree or any experience. When you first get started, loan signing appointments are sent to you directly and automatically. No selling is required! You simply put your name in a database and people call or text you to do loan signings. ​This course is worth every penny and then some. Detailed step-by-step videos, documents reviewed line by line. Awesome course - Get it! I was nervous about this course because there seems to be so many options out there. Frankly I do not feel like I could have made a better decision... The course walks you through the basics of the loan signing, step-by-step, not all the hypothetical legalese that the other courses do. Plus... you get very specific updates that are laser focused on a specific topic. Mark, thank so much for your efforts and you integrity. I was probably like you are right now, looking into ways in how to make extra income! I am already a notary, but it wasn't enough. After searching I came across this course. I was very skeptical, so I did all the research, reviewed everything. So, I went for it. And believe me, it works. I completed the course on June 7, 2017 and on June 12, 2017 was already completing my first signing... It works, just follow the system, don't deviate from the instructions and you will succeed. If you can't make the investment for your success, then probably this is not for you.....but I will assure you, make the investment, follow the course and get ready for growth. Mark, very appreciated for sharing your experience, knowledge and passion. This Course Comes with a No Questions Asked Money Back Guarantee! If this course doesn't teach you how to become a notary loan signing agent, how to get the highest paying loan signings, how to build a successful loan signing agent business, or doesn't meet your needs for any reason at all, simply let me know within 30 days and you'll get a full refund... no questions asked. The course contains over six hours of video instruction. I’ve also included an additional 5-6 hours of bonus instructions. ​The course includes a full loan signing you can watch, several audio recordings of actual loan signings, and a step by step video of how to go through an entire set of loan documents. And unlike other courses, my course will teach you step-by-step how to get a steady stream of the highest paying loan signings. ​You can learn at your own pace. Learn it all in a few evenings or over the course of several weeks. It's up to you. Is this for beginners or advanced notary signing agents? The best part of the Loan Signing System is that it has so much content that it provides incredible value for both beginners and advanced notary signing agents. Beginning notary loan signing agents will find topics like how to get your notary commission, how to easily get your first loan signing, and how to do a loan signing with confidence. 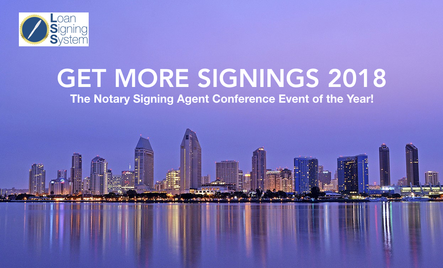 Advanced notary loan signing agents will find topics like getting signings directly from escrow officers and mortgage professionals, how to do a loan signing to escrow standards (not signing service standards), and my most advanced tips on how to build a successful loan signing business. You don’t need a degree or any special certifications. You just need a notary commission in your state and the know-how - you truly can start with no education or experience! Getting a notary license (known as a commission) is very easy. In most states you simply need to apply. Some states require simply exams. In either case, it generally takes two weeks to two months to get your notary commission. A link to exacty how to get your notary commission is in the course. ​Should I wait to get my notary commission before getting the course? Not at all. You should get the Loan Signing System course before any other step because the Loan Signing System is designed to help you avoid the common pitfalls most signing agents take when building their business. I link to the lowest cost notary commission courses and supplies so you can save headache and money! Getting the course first will walk you through how to become a successful signing agent step by step even if you're starting from scratch! ​What if I already have my notary commission? ​If you already have your notary commission, congratulations... the most time-consuming part is out of the way and you can immediately start making money as a notary loan signing agent! You simply need the knowledge and the step-by-step training, which is what the Loan Signing System provides you! I have had students with their notary commission start the course and get signings the very same week! ​How long do I have access to the Loan Signing System course and certification? You have unlimited access to the Loan Signing System, including any new updated training videos! Where is the Loan Signing System certification recognized? The Loan Signing System is the premier loan signing agent training. Mark Wills has been selected by the National Notary Association to conduct an advanced training in their upcoming 2018 Annual Notary Conference in June. He has trained thousands of signing agents from coast to coast. He owns a loan signing service. And the Loan Signing System has been widely recogninzed from some of the largest signing agent databases such as Notary Resume and Snapdocs as well as a number of escrow agents (the people that hire notary signing agents). What’s the difference between your course and other loan signing agent courses? The Loan Signing System Certification is the only signing agent course that teaches you step by step how to build a successful loan signing agent business. The course is the only course that teaches you step-by-step with an actual set of loan documents how to do a loan signing to escrow standards, not signing service standards. And the biggest difference between my course and every other course is the Loan Signing System teaches you how to get loan signings directly from escrow officers and build your business. You’ll get the highest paying loan signings from escrow officers and have more control over how many loan signings you get. You’ll actually get training videos directly from escrow officers (the people that hire you for signings). Most courses teach you to put your name into a database. They may even have their own database to put you in. But putting your name in a database is only a small fraction of how you get loan signings. And, although you get loan signings automatically, it provides you with the least amount of control of your income. I've had students take my course and make more in a week than they did in a full month because of the business development strategies and techniques I teach them. Additionally, my course is the only training with monthly mentorship where you can ask me questions about building your business, live! Is there enough business for me? How do I know I'll get signings? The good news is where there are homes, there are loan signings! So if you look around and see homes, that means you can make money as a loan signing agent! Here's the better news... it's very easy to become a notary loan signing agent. You don't need any special education or degrees. You simply need a notary commission. This ease of getting into the business generally causes a higher supply of loan signing agents. Which some people fear because that creates more competition. But this is the exact reason why you can get a lot of loan signings. The low barrier to entry to get into the business causes most signing agents to be lower quality, untrained agents. Because a course is NOT required to get started. So when you take my course, you will literally be better than 90% of the loan signing agents in the market. And that is the reason why you can get more loan signings than anyone else. If you ask any escrow officer (the people that hire loan signing agents), a good signing agent is worth their weight in gold and are hard to come by. And when they do find a good signing agent, they tend to feed them loan signings regularly. I'll teach you step by step how I became the top loan signing agent in my market, so you can do the same! Do I need any other certifications? As a loan signing agent, you actually don’t need a certification to get your first signing. However, to build a successful signing agent business, you should get the Loan Signing System certification, as well as the NNA signing agent certification. The NNA is the largest and most widely known training for notaries. And two of the largest title companies require that you have it. However, the training is basic and doesn’t cover how to actually build a successful loan signing business. I link to the exact NNA certification within my course. The NNA certification is only $65 and includes a background check. Start with the Loan Signing System training and certification, and as your business grows, get the NNA certification. What does the monthly mentorship entail? ​If you purchase the Six Figure Loan Signing System Course, you’ll get access to my live mentorship where you can ask me any question about building your business, LIVE! You’ll see me on video and you can type in your question before or during the biweekly sessions. Plus all sessions are recorded so even if you miss it, you’ll still be able to watch it. My students often refer to it as a “must have” and it’s the perfect way to get all of your questions answered as you build your loan signing agent business. Does this work in my state? The good news is that lenders don't make 50 totally different sets of loan documents for the 50 states. And although laws and some documents vary from state to state, the Loan Signing System course is designed to teach you the fundamentals of doing loan signings so you can do a perfect loan signing in any state with any document. Always follow your state's notary laws and best practices (provided in your state's notary commission course and secretary of state). Loan signing agents are most commonly used in escrow states. Learn more about escrow states here. ​What if I am not satisfied with the Loan Signing System? ​I am committed to your success and am truly invested in your success. 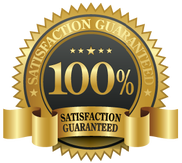 If you don't like the course for any reason within 30 days, and as long as you haven't received the Loan Signing System certification, simply let me know and I'll issue you a full refund. ​What if I can’t afford the full payment? I offer convenient monthly payment plans on all of my courses. You get full access to the course upon your initial payment! My goal is to make becoming a successful loan signing agent as smooth and streamlined as possible. If you ever have any issues or questions, I offer a number of resources to get your answers. I have a private Facebook group for students so you can ask other students and successful agents. Most loan signing agents have had the same questions and comments as you in the past and are a great resource and support group for you. I also have live chat available during business hours. And of course, you can email me at mark@loansigningsystem.com. I have successful notary signing agents from coast to coast. Click here or see below to see actual written and video testimonials from students. Of course, if you find that the course doesn’t meet your needs, simply let me know for a full refund! I offer secure SSL encrypted payment options from every major credit card, including Visa, MasterCard, and American Express. You can also pay via PayPal.